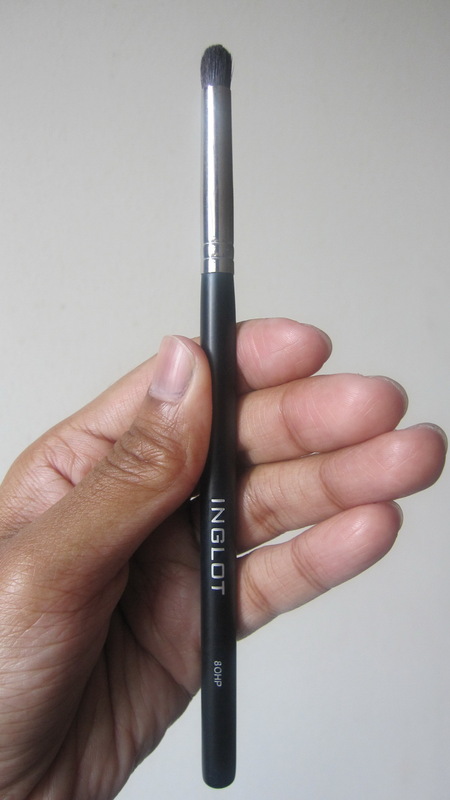 This brush is very thin, quite slanted and pretty stiff. 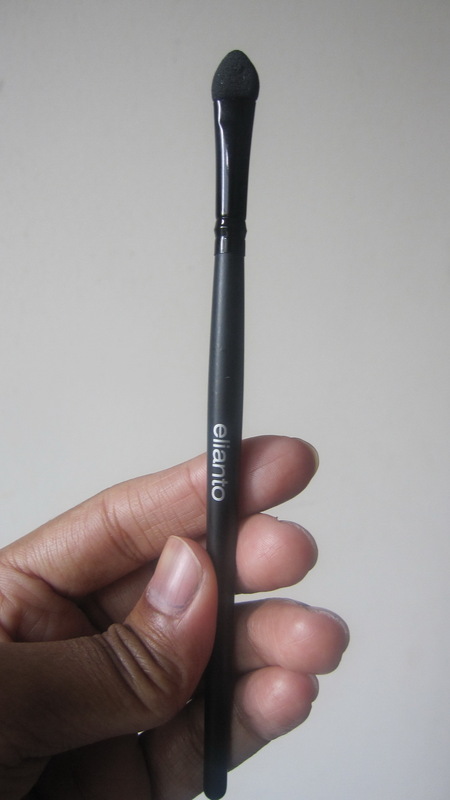 I use this brush to fill in my eyebrows more often than as a liner brush, but it does a great job at both. I also really like the fact that the brush is bright orange, actually, it makes it easier to control how much product i'm picking up, and easy to see if i've cleaned the brush properly. I just make sure it's all nice and orange again. 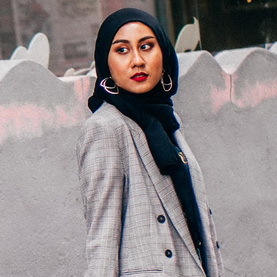 I went to MAC in my early days of makeup-loving discovery, and with my limited knowledge of brushes, i asked one of the assistants there for an eyeliner brush. She gave me this and i purchase it without another question. 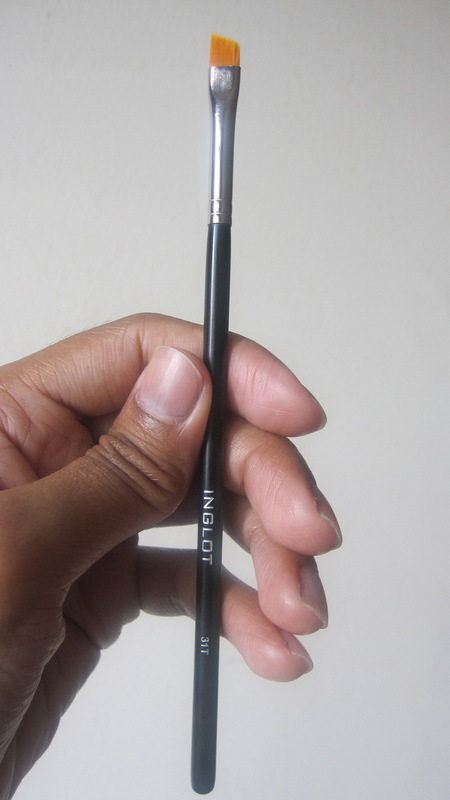 I won't say it's a big mistake, but if i had known what i know now then, i wouldn't have purchased this brush, especially when you take how much i paid for it into consideration. I'm not a big fan of its thickness, and the tapered end doesn't help either. 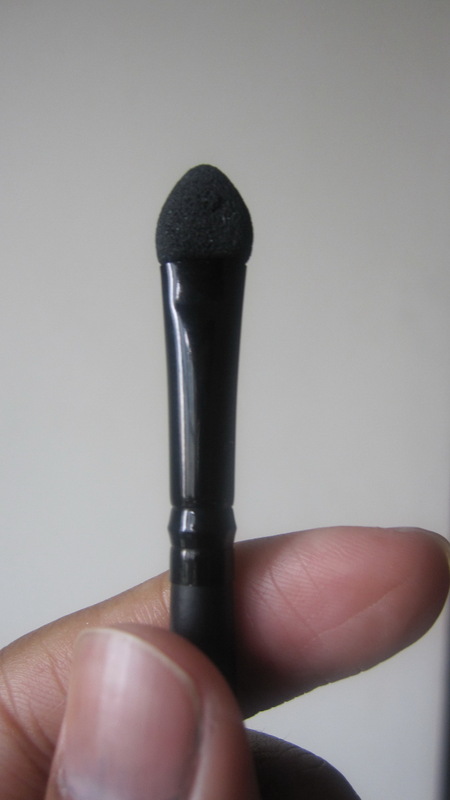 OK i'll be completely honest, i have never used this for eyeliner purposes. 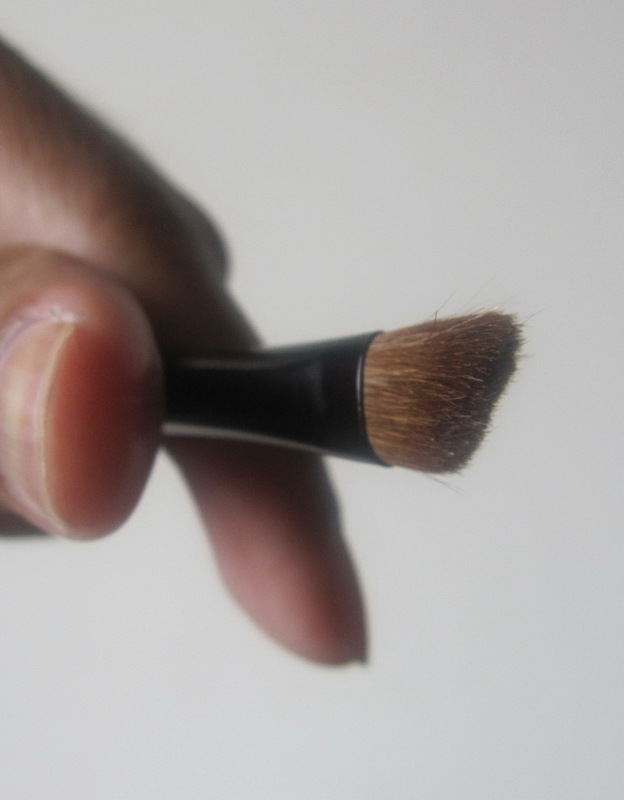 The only times i reach for this brush is when i want to add some highlight colour on the inside corner of my eyes. I should probably try this out for its purpose and not judge it too soon (even though i've had this the longest, probably!). 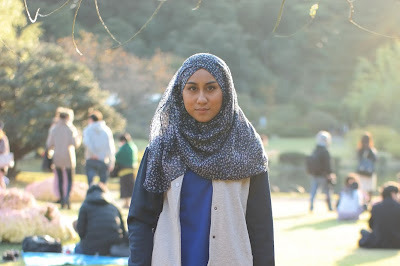 And i might just do that soon, i haven't cracked open my brown gel liner from Maybelline. I don't quite know what kind of brush this is. 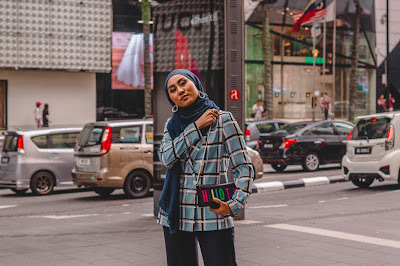 I was contemplating to buy MAC 219, but purchased this instead when i saw this at Inglot on the same day. I thought they looked similar and i was all about saving up on that day. 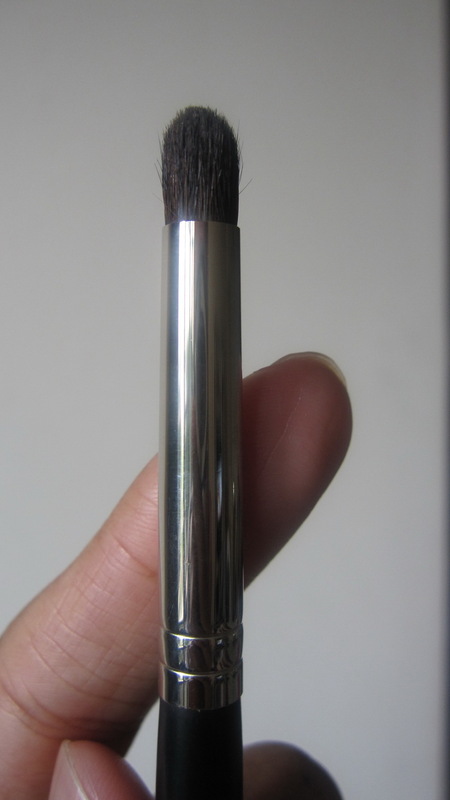 This brush definitely does not suppress my want for a MAC 219. 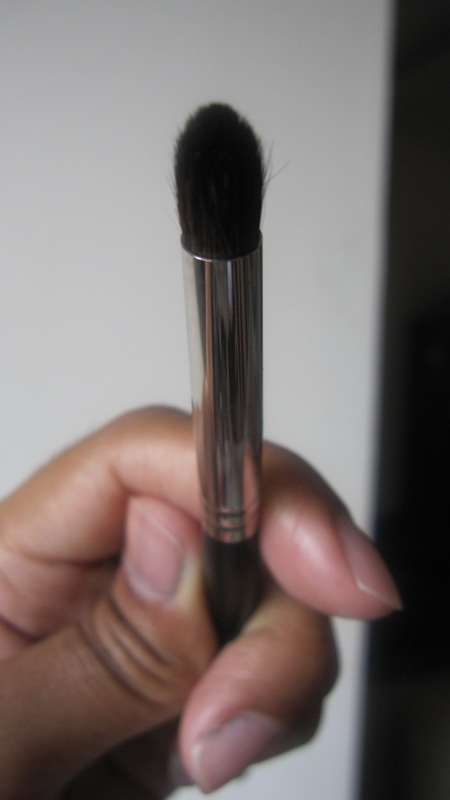 I rarely use this brush, but when i do use it, it's to apply shadow right in the crease, if i want a really distinct crease-shadow, or to smudge liners. I do think 219 would do a better job at doing those, though. 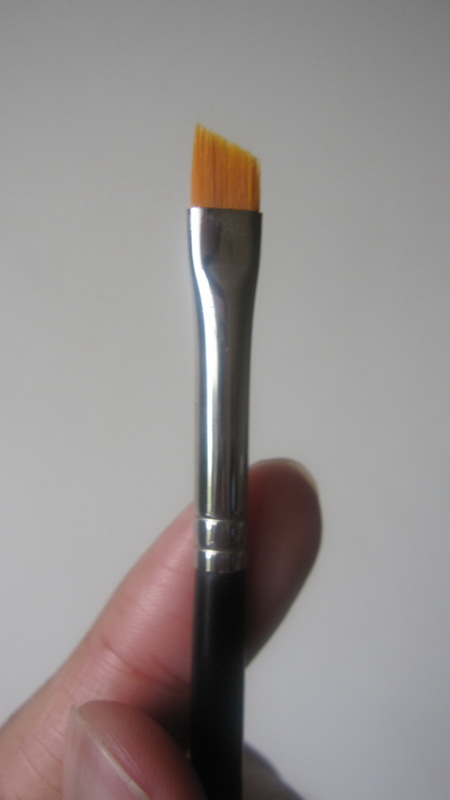 Plus this brush is pretty stiff, and a 219 would feel better on the lids, i'm sure. 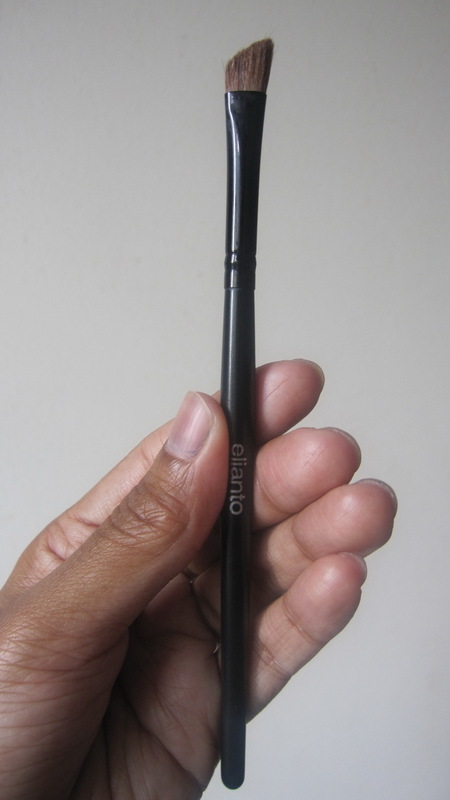 I got this in my first ever brush set, bought from Elianto. 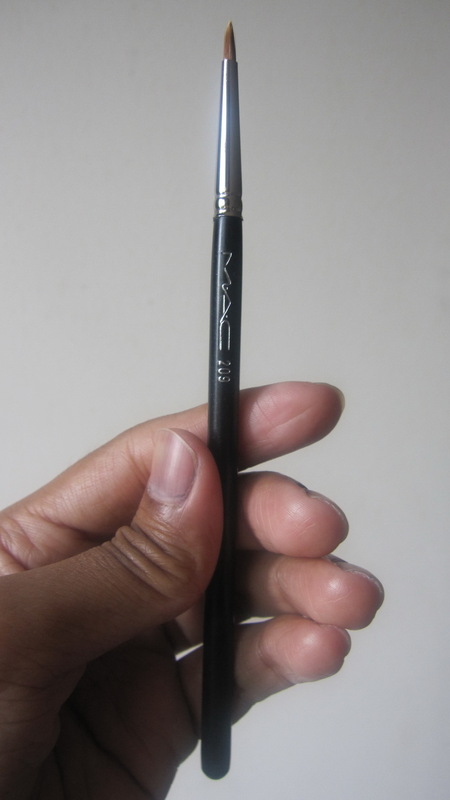 Another brush that i rarely use, but i find it useful to apply the less pigmented eyeshadows. Eyeshadows stick to sponge more than the hairs - synthetic or not - it seems, but the downside of using sponge applicators to me is i find it hard to spread and blend the colour around. But a handy thing to have in my kit, for sure. 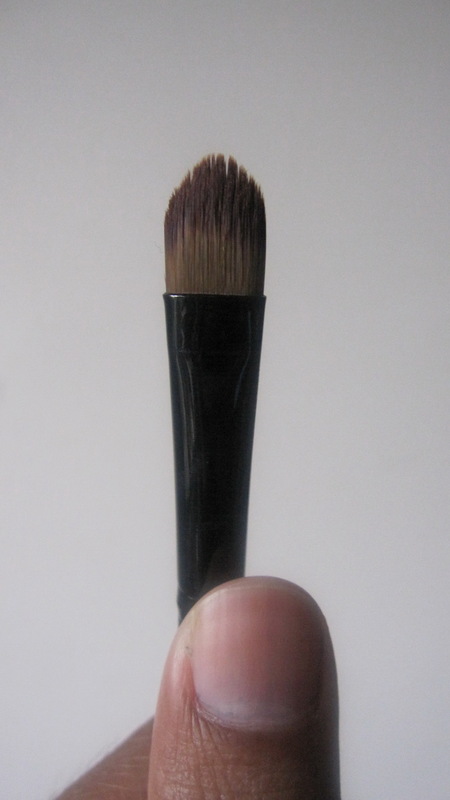 I have no idea what is the name of this brush. It looks like it's written "Aqesia" there, but, i really don't know. 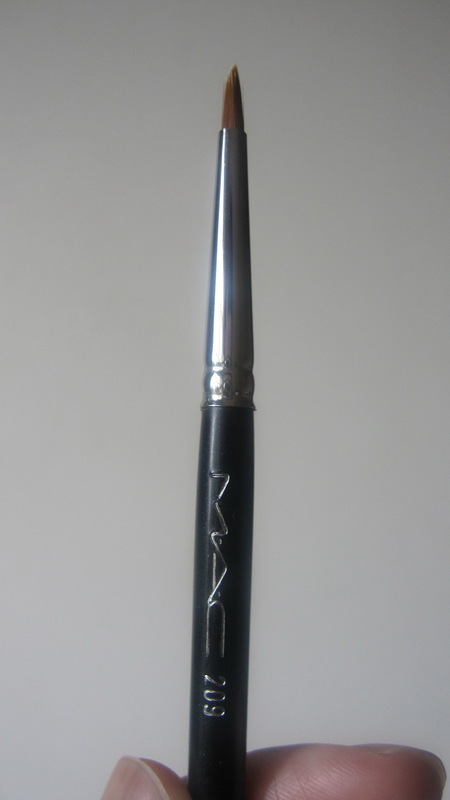 I purchased this brush from Sasa, way before i had my MAC 239 and my MUG Eye Shader Brush, with the intention of using it to apply eyeshadows. Unfortunately, the hair on this does a terrible job at that. It's somewhat slippery, making it hard for eyeshadows to stick to. Fortunately i discovered that it does a fantastic job for patting concealer under my eyes right on my very dark and sunken half-circles. 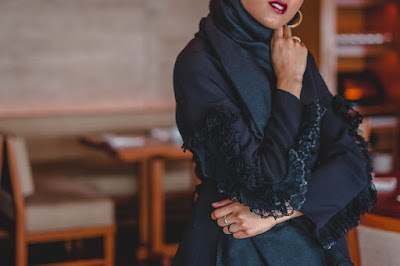 I also really like the fact that it's thin from the sides and the slight tapering at the top is great for reaching corners too. I call this "medium-sized" because i have the smaller version of this from Elianto as well, all from the same first kit. 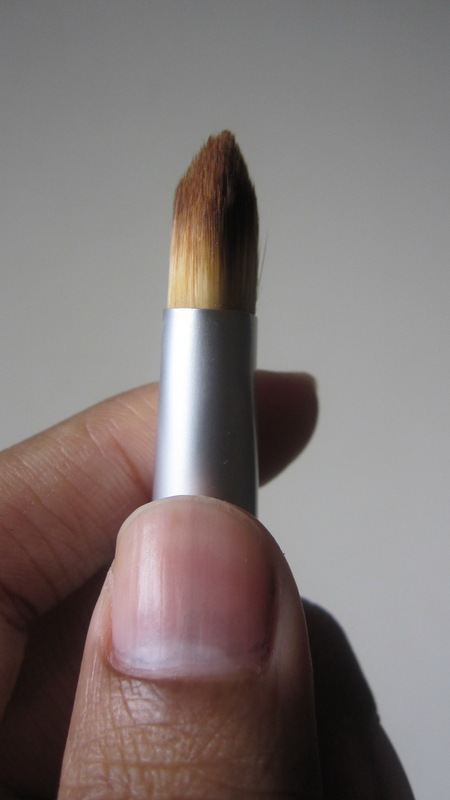 This is too big for me to use to apply eyeshadow, so i use it for concealing instead. 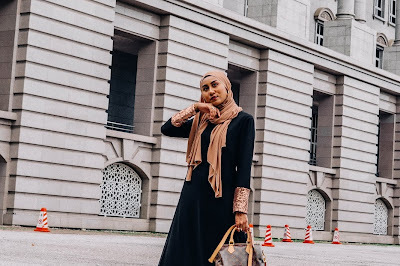 Not to apply, but to buff out the concealer after tapping it underneath my eyes. It's soft enough for blending and the fact that it's angled helps too. The smaller version meanwhile is too small, with the hair being too thin, making it pokey somehow. 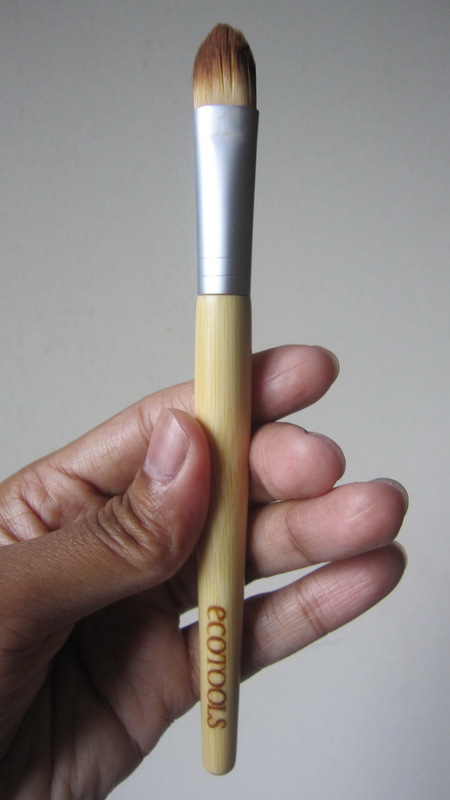 I already had brushes that i use for applying and blending out concealers, but i couldn't help but grab this when i saw that one of the beauty stores here sell the Ecotools range. 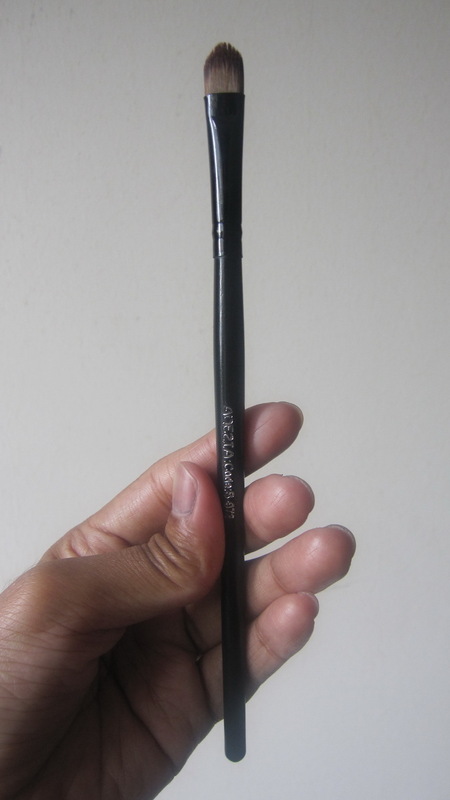 I was tempted to buy the foundation brush as well, but i thought i should give this one a try before getting their other brushes. But this huge chunky brush for concealing? Does not work for me. 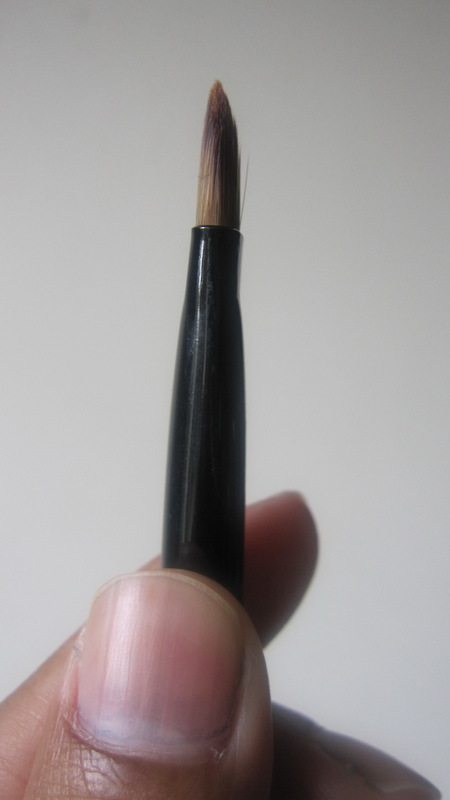 I love the look of the brush, i love the sleek wooden handle, the soft brush, but the size is just too much for concealing, for me at least. 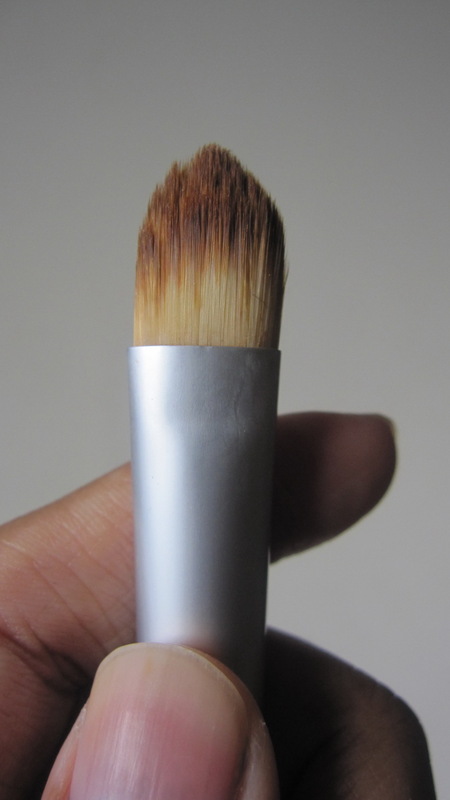 I very rarely use this brush, and i have to admit, i'm amazed that this brush gets such a high rating on Makeupalley. But it is very possible that i just haven't discovered its full use. The last post on my brushes collection coming soon!